Each state has its own definition of reckless driving, as well as varying consequences for this unsafe behavior. Choosing to operate your vehicle in such a way that it puts people and property in harm's way can earn someone anything from fines to jail time. The majority of states don't include specific reckless driving behaviors in their statutes. Instead, they expect that law enforcement officials will take into account all the surrounding factors, including traffic, road conditions, the presence of pedestrians, and other circumstances. There are, however, a few examples of specific behavior included in state laws. As you approach a hill on a two-lane road, you can't see whether traffic is coming in the other lane. This makes passing very dangerous. Most states don't actually define passing on a hill as reckless driving, but Virginia does include this specific example in its statutes. In other states, this risky behavior would still be likely to get you a citation for reckless driving, especially if your choices caused an accident. When a police officer tries to pull you over, you're legally required to comply. Refusing to pull over can result in a variety of consequences, depending on the circumstances and the laws of the state. 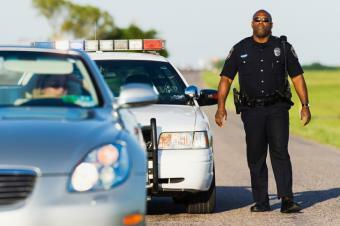 In most states, refusing to pull over isn't part of the reckless driving statute. However, Florida law clearly includes fleeing a law enforcement officer in its definition of reckless driving. Racing your car on a public roadway is dangerous, and in many states, it is likely to be considered reckless. However, at least two states clearly include racing in their reckless driving statutes. In Virginia and Washington, if you race your car, you can be convicted of reckless driving. In addition, people convicted of reckless driving face increased insurance premiums. According to Forbes, a reckless driving conviction results in, an average, a 22% increase in the price you'll pay for car insurance. No matter how much of a hurry you're in or how tempting it might seem to engage in a risky behavior behind the wheel, reckless driving simply isn't worth the risk. Although most states don't offer clear examples of reckless driving, they do prosecute motorists who willfully endanger others. You can avoid these consequences by driving safely.